Over the past 25 years, I have built a solid reputation as one of the most trusted and ethical family law attorneys in Arlington, Virginia. At the Dannenbaum Law Firm, PLLC, my clients can rely on me to be available to answer their questions whenever they need - even during holidays and weekends. After all, a serious family law matter does not wait until business hours to be addressed. Because of my dedication to the highest legal standards and outstanding customer service, I have been rated Martindale-Hubbell Distinguished*. I accept clients throughout northern Virginia. I address a full range of family law issues at my law firm, especially those pertaining to divorce. These include child custody and parenting plans, alimony and child support, property division, domestic violence, prenuptial and postnuptial agreements, and modifications. Family law is a sensitive and complex area of law, requiring empathy and tact. I take great pride in my ability to ease the mental anguish of clients going through a divorce and experiencing conflict. My goal is always to reduce the stress clients are experiencing during what is likely to be the most difficult time of their life. In many cases, I can achieve this by assisting clients through mediation or another alternative dispute resolution methods, which are especially beneficial when children are involved. If necessary, however, I am prepared to vigorously represent clients' interests in court. I accept credit cards for my clients' convenience. 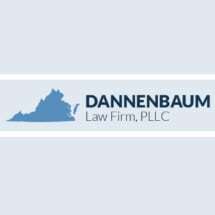 At the Dannenbaum Law Firm, PLLC, clients can expect to be treated with respect and compassion.